When I lived in North Queensland, Australia many years ago, I was a moderately successful, avid fisherman. I will not bore you with those stories of the one that got away, or the big one I brought home, but I assure you there are many. I fished in creeks and estuaries, in Barramundi country that just happens to also be crocodile country, but I did get some big’uns! For a short while, I was the president of the Barrier Reef Amateur Angler Fishing Club that is a competition club holding quite a few world records. The club owned a 36 foot boat and sailed to parts of the Great Barrier Reef, one of the modern wonders of the world. We left harbor at midnight on Fridays and returned to shore Sunday evenings. On one of the trips that I attended, we received a weather report that a fierce storm had suddenly developed and immediately started to return to port. On the return journey, waves were breaking right over the top of the boat that was being tossed around like a cork and I have to admit that I was scared. On one of my visits to India, we had to take a massive detour on the flight from Singapore to Australia because of a cyclone. Our aircraft was being tossed around like a feather and I could see the fuselage twisting down the length of the airplane and watched the wings flap around like a bird’s wings. I’ve done a lot of flying, learned to fly, did aerobatics and so on and had a ball, but in that Boeing 777 I was scared. Yep...this great man of faith and power (or is it paste and flour?) who was coming home from healing crusades in which astounding miracles of healing happened and a man was raised from the dead, was gripping my seat so hard I thought I’d break something. I thought, “If we go down, I will be going home to be with the Lord”, but every time a lightning bolt flashed around us (I’ve been in an airplane hit by lightning which is scary) and that plane lurched and twisted again. I kept praying even harder and kept asking the Lord to protect me. Forget everyone else. Just get me home safely. Under such circumstances, even Baptists and staid Presbyterians will start praying in tongues and heathens will call on the name of Jesus! I said all that to say this. Life can be full of storms. Life can be going well for us when suddenly...bam! It seems that all hell has broken loose around our ears. We can be doing what we believe God wants and walk into hornets nests. What’s going on? What is happening could be just what God wants! Don’t start thinking that God always sends trouble. Sometimes there is a sinister cause. Those storms of life that assail us can be for a reason so we need to know about what we need to know about it (sounds like a tongue-twister)! I want to share several stories to illustrate. One is about Jonah. One is about Paul and one is about Jesus. But Jonah rose up to flee unto Tarshish from the presence of the LORD, and went down to Joppa; and he found a ship going to Tarshish: so he paid the fare thereof, and went down into it, to go with them unto Tarshish from the presence of the LORD. But the LORD sent out a great wind into the sea, and there was a mighty tempest in the sea, so that the ship was like to be broken. Then the mariners were afraid, and cried every man unto his god, and cast forth the wares that were in the ship into the sea, to lighten it of them. But Jonah was gone down into the sides of the ship; and he lay, and was fast asleep. So the shipmaster came to him, and said unto him, What meanest thou, O sleeper? arise, call upon thy God, if so be that God will think upon us, that we perish not. And they said every one to his fellow, Come, and let us cast lots, that we may know for whose cause this evil is upon us. So they cast lots, and the lot fell upon Jonah. Then said they unto him, Tell us, we pray thee, for whose cause this evil is upon us; What is thine occupation? and whence comest thou? what is thy country? and of what people art thou? And he said unto them, I am an Hebrew; and I fear the LORD, the God of heaven, which hath made the sea and the dry land. Then were the men exceedingly afraid, and said unto him, Why hast thou done this? For the men knew that he fled from the presence of the LORD, because he had told them. Jonah 1:1-10. Clearly, God had an assignment for this man, but he refused to comply with the Lord’s wishes. Rather than going there, he deliberately looked for a way to go in the opposite direction, away from his calling and away from God. He will never enforce His will on us as such, because He has given us the freedom of choice. If we refuse to co-operate, He can lift His hand from us so to speak and anything can and often does happen then. The devil is out to kill you. He is determined to ruin your life one way or another, so if we get out of step with God, it is like opening a porthole in a submarine. You’ve made your choice and God will observe without interference on most occasions. People often blame God for natural disasters, dubbing them “an act of God” but they are just what they are called...natural disasters that follow the course of nature. God’s plan remains the same. He does not change His mind. Conditions and circumstances do—other people can influence our lives—people asked to come to help us can refuse to do so—or we might procrastinate, even refuse to do it how God wants or in His timeframe and so on—but His plan is His plan. How to get from one place to the final destination, or use finite resources may influence us. Jonah ran away, going in the opposite direction, but God was not going to be put off. If it is a specific plan that God wants done, He will do whatever it takes to get that plan into effect. He might choose someone else, or He could take some kind of direct action. Did God hurl a storm against Jonah, was it a natural phenomena that was used...or was it an evil malevolent force designed to hinder Gods plan? Think of this for a moment and when I get to a story involving Jesus, remember this question. The important thing I want to tell you is that God knows! Often times, other people around us also know. What we do or neglect to do can and does influence others. Those sailors were going to drown because of one man’s disobedience. One man’s disobedience in a garden thousands of years ago affected us today. When that storm hit, those seasoned sailors—who didn’t know God—found out that their imminent demise was because of that one man and they knew that he was fleeing from God. They know! Pretenders are only fooling themselves. There is much more to Jonah’s story of course, but I have to keep going. The next man we will look at is Paul. We take up his story from Acts 21 where he stopped over in Philip’s house. A prophet by the name of Agabus prophesied, saying that Paul would go bound in Jerusalem. It’s great to have a prophecy, but the proof is in its fulfillment. Always check it out or weigh up what has been said before acting on it. It is usually given to confirm something somehow. This merely confirmed something Paul already knew and when he was there, certain religious people made a commotion and he was arrested. Plots were made to kill him, but Paul knew that he had an assignment, having been sent by the Lord to the Gentiles. In Acts 23, a riot started and Paul was taken into the castle for his protection and there the Lord told Him he had to go to Rome. At one point, the authorities were undecided about what to do with him, so Paul made an appeal to be heard by Caesar. He was a Roman citizen and such an appeal automatically meant that he had to be taken to Rome. Sometimes we have to take a real positive stand on a known fact, to align ourselves with God’s plan for our lives. This is the focal point of this part of our story. Once committed to this course of action, Paul found great opposition and problems in reaching his objective. Follow this in Acts 27. At one point, Paul perceived that this journey would be disastrous and tried to warn the ship’s captain, who refused to listen. That man was supposed to be an experienced mariner. He was a greedy fool! At that time of year, the prevailing weather was not good and any wise sailor sheltered from the seasonal storm that was so well known people gave it a name...Euroclydon. Cyclones and hurricanes are each given a name for that specific occasion, but Euroclydon happened—every winter! Sometimes other people can get in the way! Other people can hinder you, either deliberately or without realizing it. They might not see your vision and you expect them to understand and support you, but they cannot. They might not be at the same level of understanding as you yet. They might not want to see you succeed because of jealousy and so on. Another factor could be that God does not want you with them at that time. If you look at a building project, you may see scaffolding. It is there for a purpose and it is only required during the construction work, but when the project is finished, the scaffolding is no longer required—for that particular project. It can be dismantled and taken to the next site. Some believers are scaffolding believers! Their job is to assist you and then go assist someone else. Don’t hang on to them, but let them go with your blessing. Other people can be like that ship captain! I need not elaborate. Get the mind and will of God in such matters. Paul did. The Lord told him precisely what He wanted, where He wanted Paul to go and even sent an angel to assure him all was going according to plan. If you study this out, you will see that Paul was right smack bang in the center of the will of the Lord and got shipwrecked, nearly drowned, lost his possessions, nearly froze, ate nothing for days, got lost and was driven out of control by the storm until they found a beach, avoided being killed by the soldiers and got bitten by a deadly poisonous adder...all whilst going where the Lord told him to go! Paul eventually got to Rome, just as Jesus had told him and in this little drama 276 people’s lives were saved. Sometimes your problem is a means of helping others. That storm, by the way, turned out to be a blessing, because he ministered to the people of Malta with signs, wonders and miracles of healing. In the process, the head man of the island took him into the palace, fed him clothed him and honored him in many ways. When he continued his journey to Rome, the population of the island gave him possessions and money! What he lost was more than regained and Paul had enough money to eventually buy a house in Rome! I have wondered how I would have reacted in that boat. What would I have said? What would I have done? What would you have said and done? My ambition has always been to preach the Good News where the name of Christ has never been heard, rather than where a church has already been started by someone else. But now I have finished my work in these regions, and after all these long years of waiting, I am eager to visit you. I am planning to go to Spain, and when I do, I will stop off in Rome. And after I have enjoyed your fellowship for a little while, you can provide for my journey. But before I come, I must go to Jerusalem to take a gift to the believers there. Romans 15:20-25. Sometimes we feel like Paul. We’ve tried to get to some places, only to cancel because of cyclones, or floods and on some occasions because we were betrayed by fellow Christians we trusted! Our friends in some other countries have been asking us when we will be arriving. I keep saying that we really do not know, but we will and the Lord keeps telling us that it is important! When I read this about Paul, it blessed me, because he had the same problems we have had and we are prone to think we are the only ones in the world who go through stuff! Dear brothers and sisters, after we were separated from you for a little while (though our hearts never left you), we tried very hard to come back because of our intense longing to see you again. We wanted very much to come to you, and I, Paul, tried again and again, but Satan prevented us. After all, what gives us hope and joy, and what will be our proud reward and crown as we stand before our Lord Jesus when he returns? It is you! Yes, you are our pride and joy. 1 Thessalonians 2:17-20. 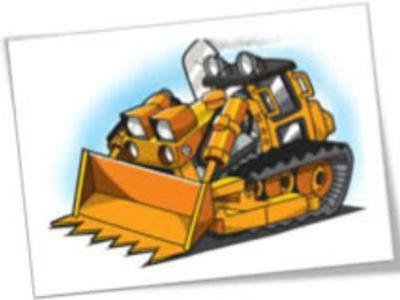 That word for hindered is enkoptō and it is like someone getting into a big D9 bulldozer and cutting a big trench across the freeway. I thought about someone deliberately opening valves or removing the bungs to slowly let water into a ship and scuttle it. Sometimes the devil tries to sink our ship. He could be aware that God is doing something or about to do something and tries to hinder our progress. We have experienced deliberate attempts to sink our ministry; avoided an assassination attempt and I have had a gun pointed at my head, so we know what it is like. Paul had such things happen to him often. You should read his testimony in 2 Corinthians 11:16-33. The point I want to leave with you here is that if the Lord has an assignment for you (and you did not pick it our for yourself), you will reach your destination. You might go through some stuff, but as I shall soon reveal, the Lord is always with you and you will come out the other side smelling sweet as roses. This brings me to the next story. In Mathew chapter fourteen, Jesus had been preaching for a long time (sometimes preachers can be a little long-winded if we really have something to say. Others just talk!) and it was well past store closing hours. The people had come a long way to hear him and were hungry, so He fed them! It is simple! Actually, He created the setting and the disciples fed the people. Think of it. Matthew says that 5000 men and an unknown number of women and children were fed and there was enough left over to feed the disciples and the boy who sowed the seed. He did not give them scraps but good edible portions. In Matthew 14:22, Jesus insisted that the disciples get into a boat—for a specific purpose. He wanted them on the other side of the water. God works to a plan—His and we need to find out at all times what that plan is and get alongside that. He went to the mountain to pray and spend quality time with the Father to receive His next ministry assignment and to build Himself up! The disciples were out there on the water. Many of them were professional fishermen. They knew about boats. They knew about fishing, especially fishing at night. They could read the weather, but this time something unusual happened! I believe that the storm that hit them came up so suddenly it took them by surprise! The question remains, “Why?” I shall deal with this soon. At around 3am, Jesus caught up with the boat. He had been praying, so was “charged up” and had an assignment, so He walked down the mountain and just kept walking towards His objective. I hope you see something here. He had an assignment. That was His objective and nothing was going to stop Him from reaching it. His objective was Bethsaida. There were crowds of people there who were sick, many of them bedridden. Everywhere He went, people carried their sick folk out on their beds and into the streets so that they could receive their healing. Some of them asked if they could touch the border of His garment. That’s all they wanted and everyone who touched Him was healed. See Mark 6:45-56. When we read such bible stories, we need to link them all together. One flows into another, because the gospel accounts give testimonies of what happened. In Mark chapter 4, Jesus had been teaching three different groups of peoples and then got into a ship to open a branch of His ministry as we shall see later, came back by ship—yet again—raised the daughter of Jairus from the dead, met the woman who had the issue of blood (see my story of “The woman who stopped God”), fed the 5000 and then went to the “other side” as per our present story. I now want to show you something very intriguing. 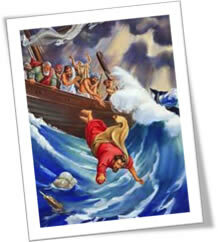 Mark says that the disciples were in that boat, “Toiling in rowing, for the wind was contrary to them”. The son of friends of mine rows. Sculling is his chosen sport and he is good at it, winning medals in various championships. I’ve watched him and if he were my own son, I would be very proud of him. It is hard work! I once saw how his hands were blistered. That’s toiling in rowing for sure, but those disciples were up against something very different. The Greek word is basanizō that describes someone in great distress, pain, torment and vexation. It is derived from another word that talks about torture! The word used for rowing in this instance is elaunō (not in my friend’s case). This is a kind of obsolete word of unknown origin, but relates to being pushed by wind or oars, to carry or drive and...dæmoniacal power! I never assume things; never take what others say for granted and always check things out for myself and I don’t care who is preaching! I say it often and quote Acts 17:11 in the process, so you check me out too! I’ve seen this story scores of times and it fascinated me because their journey was not all that far really. My sculling friend could row it! It is not as if they were crossing the Mediterranean or something. They were sailing up the shoreline (a distance of approximately 5Km) and other people were following by foot to catch up with the Lord. I asked questions like, “How come it took so long for experienced seamen to go such a short distance and what happened?” The answer is in elaunō. The enemy tried to sink them. He did not want Jesus to heal so many people. Perhaps he mistakenly thought that Jesus was in the boat too. After all, the devil is not as smart as people give him credit for. He is dumb really. He has no access to revelation knowledge but we do. He does not possess any of God’s attributes of being all-knowing, ever present and all powerful and he is a created fallen angel! We are sons of God by adoption! How good is that! This is my personal opinion of course, but I base it on study and what I believe is an answer to prayer for revelation. The devil tried to kill all of them as he aways wants to do and saw an opportunity to take them out (again). If, according to his mentality, he could sink that ship, everything that Jesus was to do shortly after would be stopped there and then. He tried this again in our following story. Now the Lord had one thing on His mind. He had received His assignment from the Father and as far as He was concerned, it was merely a formality in getting there and getting it done. So, off He went, strolled down the hill to the seashore—and just kept going! He had the distant shore in His sight and on the way, passed by the disciples in that boat. He was not going to stop. I draw your attention to His early words to them, “Follow me”. I do believe that He expected them to get out of the boat—all 12 of them and follow Him! He was going from one bible story into the next and just kept going. He was not going to abandon anyone. He wanted to show them all something and only one man saw it. That man was Peter. We talk of him as rash, brash, crude, rude, uneducated and the man who denied Jesus 3 times, but he was the only one who declared Jesus to be the Christ, the Son of the living God in Matthew 16:16 and declared He had the words of eternal life in John 6:68. Jesus already saw Himself on the other side, so kept going and, as He drew near the ship, they saw Him and panicked into thinking it was a spirit. I once thought that they thought Jesus was that spirit, but stopped to think. Was it Jesus they saw, or the demonic force trying to kill them? I do not know really, but am thinking this was so. When Peter saw the Lord, he wanted to know if it was Jesus or not. I’ve had some instances when I saw “something” and wanted to make sure. This may be one purpose for the Gift of discerning of spirits in 1 Corinthians 12:10. I’ve had instances when I wanted to make sure who was talking to me and this is very real and perfectly valid. There are many voices out there all clamoring for our attention. If we do not recognize the Good Shepherd’s voice, we could be deceived, so get to know His voice and get to know what God says in His word. Jesus was so close He saw that they were afraid and immediately spoke to them. But straightway Jesus spake unto them, saying, Be of good cheer; it is I; be not afraid. Matthew 14:27. What I will share now will rock your boat! The original text states, “I Am is here!” The “great I Am was right there beside the boat, in the middle of a dæmoniacally driven storm. My friend, no matter where you are or what is happening to you—He is there! If He is there, something is really happening and so in a sense, you can thank Him for that storm. Peter wanted to make sure and I agree with him in that, asking a simple question, “Is that You Lord?” Jesus did not say, “Yes.” Why? We can learn to recognize His voice and need not ask. The Spirit of God within us now assures us of such things (but never take a thing for granted. Make sure). Peter himself gave the answer. “If I am seeing and hearing right, then call me” so Jesus said one word, “Come”. Peter did not tell Him to wait until he checked out his favorite bible verses, or confer with someone else for confirmation. Sometimes we need to do such things, but lets get real about it. We should be mature enough as believers to know. On that one little four-letter word, Peter swung his legs over the side and stepped out. The other 11 watched. They all heard the same word, “Come” but only Peter acted on it. They must have watched him walking on the water. Why didn’t they follow him? You can answer that I suppose, but the point is that one man only got out of the boat. If you stay in your boat, all you will see is other disciples like those 11. You’ve probably heard people talk on how Peter took his eyes off Jesus and started to look at the waves and how his focus changed from the solution to the problem. I need not elaborate. The significant point is that the Lord was so close to them all, in the middle of that howling banshee He did not have to yell, but said only one word! He was so close to Peter that He only had to stretch forth His hand to grab Peter. I measured my hand form the wrist to the fingertips and it is only around 180mm or 7 inches. I then measured from my armpit to my fingertips and that is less than 600mm or 2 feet! Sometimes we feel that God is a million miles away, but that is not true. Sometimes we think that He does not care about what is happening to us, but He does care for us. He has not only made provision, He is always there. Our problem is that we do not live as if this were true. I’ve briefly touched on how that storm could have been caused in some way by the devil. I will not have time to discuss the incident in Mark 4:35-41, but this too was a storm designed to kill them all. This is a study I titled “Shhh”. If you want to receive that study please write to me and I will present it. It is most interesting. Stay alert! Watch out for your great enemy, the devil. He prowls around like a roaring lion, looking for someone to devour. 1 Peter 5:8. Please note that the devil is Not a roaring lion—he is Like one. He is a con man and if you know the truth you can walk in the victory that Jesus won for you and not fear the enemy. He prowls around looking for a weakness in your armor and then pounces. This is why Peter told us to resist him steadfast in the faith and James said that he would flee from us. The proviso is being steadfast in the faith. If you do not know, you can’t resist! That word for casting is epiriptō. The picture to the left is an illustration of what it means. This act of casting is a forceful act. It is a deliberate hurling out and away from you and, in the picture it is for a reason (to catch fish). 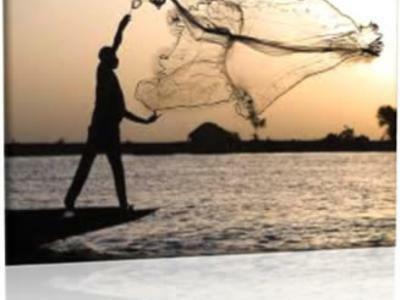 Successful casting a net like that requires practice. I know from past experience. Sometimes it is plain hard work. Often times it is dirty because one can get covered with mud and the like. Getting the net to open or spread is essential for success and that requires practice. Successful casting a net like that requires practice. I know from past experience. Sometimes it is plain hard work. Often times it is dirty because one can get covered with mud and the like. Getting the net to open or spread is essential for success and that requires practice. I’m using this to illustrate that the good things of God do not always happen or come to us automatically. Everything is a free and lavish gift, but there are things we must do or the promises will not work. Epiriptō gives the idea of forcibly throwing the things that distract us away and of dividing or sharing. Another meaning speaks about being in solitude. Have you ever noticed how you feel alone when you are trying to handle your problems yourself? What the Holy Ghost said through Peter is to stop trying to work it out yourself; stop worrying; stop thinking you are helpless and carrying a heavy burden all alone. I doubt if I can carry a 100Kg or 220 pound weight by myself, but if I get someone to share the load with me, we can carry it together. In modern English, take that heavy knapsack of worries, problems, concerns and so on off your own back and give it to Jesus to carry. When the storms of life come to assail us, what happens is determined by what we put in. Nothing in, nothing out. Garbage in; garbage out. If there is no word of God being put into our lives no word can come out. Paul had a prophecy and a promise, but he would have never reached Rome without input of his own. Peter had a word from Jesus, but he could have sat in that boat and drowned with the others. One story of them in a boat during a storm states that they received Him Into their boat. In other words, they took him in—they reached out to help Him climb aboard. You and I apparently have to get active to win. We must resist the devil, but first submit to God. We must speak what we have to speak, step out of the boat when we must take such a step. When we do such things, we know for sure that I Am is always near. When the going gets rough as if we are in a hurricane, paddling in a wire canoe, no sign of a shoreline, no nothing...He is a hands length away. If your ship sinks, then God can replace what was lost as He did for Paul. If you are as lost as a goose in a fog, He can give you the right directions where to go, when to go and how to do it. This stuff works! 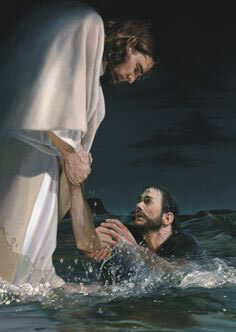 I know because I’ve been there and had the Lord reach out with His hand and pick me up. He can do that for you too. In closing, please make sure that you do not start doing your own thing. The text below suggests that the disciples took off on their own. They couldn’t wait! If this is correct, then it is little wonder that they got into trouble, but Jesus came to their rescue. They had rowed hard all night and gotten nowhere. We can labor and toil, even “for the Lord” and get nowhere...if He never asked us to do that. When He assured them, this version says that they took Him into their boat and straight away or immediately reached their destination. If He is in the boat with you, you can be sure that you will reach the place where He wants you to go. And they took a boat and went across the sea in the direction of Capernaum. By then it was dark and still Jesus had not come to them. The sea was getting rough because of a strong wind which was blowing. After they had gone three or four miles they saw Jesus walking on the sea and coming near to the boat; and they had great fear. But he said to them, It is I, have no fear. Then they readily took him into the boat: and straight away the boat was at the land to which they were going. 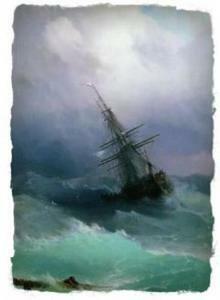 If you feel as if you are about to sink in your own storm, please look at the text above. The Lord had instructed them to go to a certain place, but that storm came up in an attempt to take them out. Nevertheless they came through that storm unscathed. Once Jesus got into the boat with them, it was as if they were immediately transported to their destination. I think that this was a supernatural event. I leave you with this. No matter what you are going through, even if it looks as if you are going to sink, God has a way of getting you to your destination... Take Him in your boat and see what He does.